Maskandi artists have called on government to convert the homestead of the founding father of Maskandi music, Phuzushukela, into a museum. 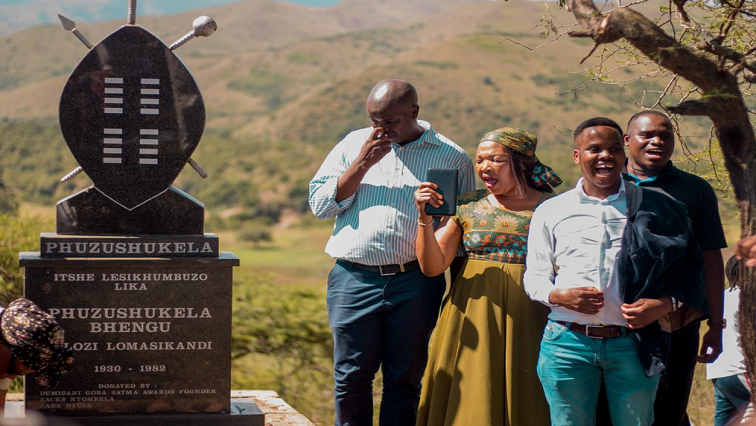 Artists visited the home and the grave of the former Maskandi icon in Nkandla, northern KwaZulu-Natal. Retracing the origins of Maskandi music, the genre is now a multi-billion rand business thanks to Phuzushukela who pioneered it in this remote village. The Maskandi music founder was a prolific guitarist and lead singer. Leading Maskandi artist Khuzani paid homage to the family at their humble home, in a bid to garner support for the #GcwalisaIMabhida. Phuzushukela’s family also gave their blessing to the campaign to promote the genre. “We would like to urge our forefather from wherever he is to shine the light upon us and ensure that this kind of music never ends. We ask for his intervention by assuring that it grows from strength to strength,” said his son, Fana Bhengu. The musicians say a museum at Phuzushukela’s home will help preserve the legacy and rich history of Maskandi music. Maskandi artist Phuzekhemisi has appealed to government to turn the home into a museum. There’s about 16 000 of the 50 000 tickets which went on sale still available for the concert to be held on 30 March. The post Maskandi artists ask govt to turn Phuzushukela’s home into museum appeared first on SABC News – Breaking news, special reports, world, business, sport coverage of all South African current events. Africa's news leader..